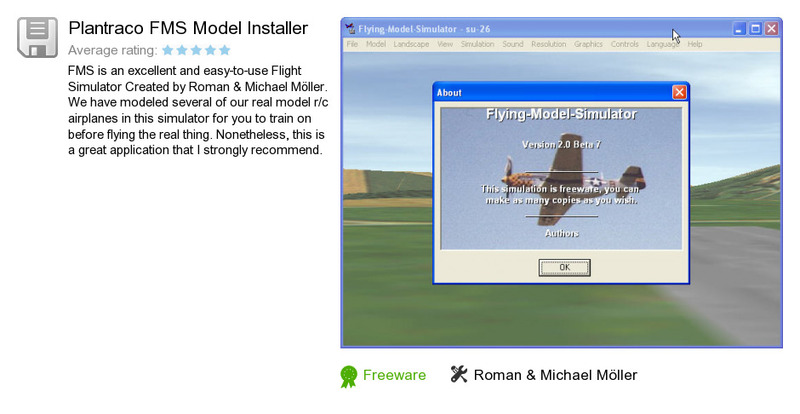 Plantraco FMS Model Installer is a software program developed by Roman & Michael Möller. We know of versions 2.0 beta, 1.0. Version 1.0.5 is available for free download at our site. Plantraco FMS Model Installer installation file has a size of 6,205,782 bytes.